-- Lady, an Irish Setter puppy, is leading a simple life on a farm in Ohio during the 1940’s. Lady’s biggest desire is to become an expert hunting dog like her mother. She has no idea that her life is going to take her down a path where she will find herself in the middle of incredibly dangerous situations, including a world war. On several occasions, Lady will have to find the courage to risk her life in order to save someone she loves. The loyalty and bravery that Lady shows throughout her lifetime illustrate what it truly means to have the heart of a hero. -- Poppy Markham practically grew up at the family restaurant in Austin, Texas, and, until recently, worked as a sous chef under her surly stepsister Ursula. 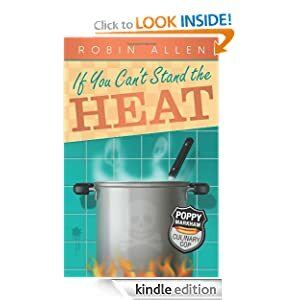 Poppy's not sure if her dad will ever forgive her for leaving the family business to become a public health inspector -- the most reviled figure in the restaurant industry -- but when he asks her back into the kitchen to help out during the restaurant's grand re-opening, she can't refuse. Chaos ensues when the guest of honor, Michelin-rated chef Évariste Bontecou, is found stabbed to death with Ursula's knife. Sacrebleu! Sorting through everyone who had it in for the hot-headed, philandering French chef is worse than deboning a Coho salmon. Could it be the bad boy sous chef eyeing his chance at the top or the conniving waitress rumored to be Évariste's paramour du jour? The closer Poppy gets to the truth, the hotter things get. And as everyone knows: if you can't stand the heat, stay out of the kitchen. -- In 1904 twelve year old Ellen Copley and her father leave the sooty rail yards of Glasgow for a new life in Vermont with her aunt and uncle. Yet within weeks of her arrival she is abandoned by her father, living with inhospitable relatives and unwelcome in town. Then her Aunt Rose invites her to stay with her boisterous family on Lake Ontario's Amherst Island, and Ellen begins to find the love and acceptance she'd long been craving. Soon she is living a fractured existence in both Vermont and Canada, torn between happiness and duty. When a local boy lays claim to her heart, Ellen must decide just where her destiny lies in a changing and increasing turbulent world. 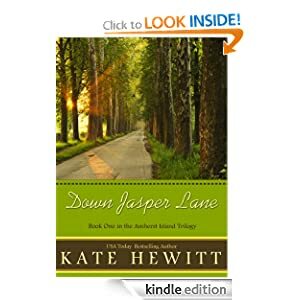 Originally published in hardcover and written by USAToday bestselling author Kate Hewitt, Down Jasper Lane is the first book in the Amherst Island trilogy. 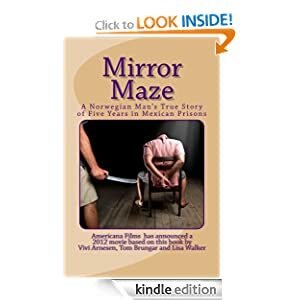 -- Tom Brungar grew up in a comfortable Norwegian environment. He became a ski champion for the Norwegian King’s Ski team. He was destined to have the perfect life… with the perfect wife… and the perfect corporate job. But with the help of psychologist Adriana… he survived to tell his story. 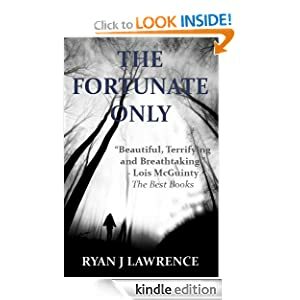 This is an incredible account of amazing survival, courage, triumph, overcoming obstacles from the power of the light within and the ability to make the best of situations against all odds. This account is multi-faceted, intertwining Tom’s personal, philosophical and spiritual revelations on a foundation of socio-political issues. It also displays the disregard for the international treaty of human rights regarding torture. All variations and levels of addiction issues are addressed in this story as well. The title signifies the “Mirror” he sees himself in and the “Maze” he travels through to arrive at the exit. In a world seemingly without hope, Tom achieves the impossible via amazing perseverance, strength, faith, meditation, self-therapy and transformation of awareness. His good heart, honesty, intelligence, strong ethics, talents and ability to quickly learn the culture and language helps him befriend fellow prisoners and amuse his captors. He also meets and falls in love with Adriana, the prison psychologist, who with the help of the Norwegian embassy obtains his release. -- Move over Harry and Percy, there’s a new kid in town. Or, more precisely, out of town. He’s eleven year old Meriwether Lewis Bowman, but he’d prefer it if you just call him Lew. He lives with his parents in the volcanic wilds of the Mt. Lassen area of northern California. With his Grandpa, who’s six feet five and looks like an NFL linebacker, Lew finds that the wilds are much wilder than he could ever have imagined. It’s a place where legendary beings like were bears and chupacabras do exist and they’re struggling for control of the natural world. Lew didn’t want any part of their ancient fight, but now he’s at the very center of it. This is the first novel by Don Cambou, who for a dozen years Executive Produced “Modern Marvels” for the History Channel. 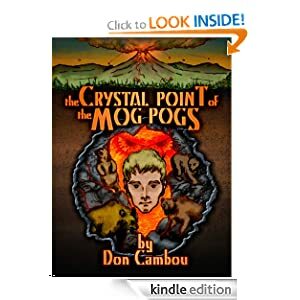 It's also the first novel of The MOG POG Saga. Cambou has turned his talent from nonfiction to this work of rich fantasy. Although it’s written for Middle Grade readers, few lovers of the genre will be able to resist the action packed, page turning, nail biting, ecological adventure he has created. The second novel, "The Treasure of the Carpathian Den" will be available in Spring of 2012. In modern-day Texas, trafficking cartels poke roots deep into the fertile nooks of a corrupt landscape, where local law enforcers either cower or fall in line. Among them is Tom Moreno, a small-town cop wrestling against a single choice that threatens to destroy everything he loves. Terrorized by three villains, each more sinister than the next, an ordinary man does his best to cope with terrifying challenges requiring actions at the outer levels of his abilities. 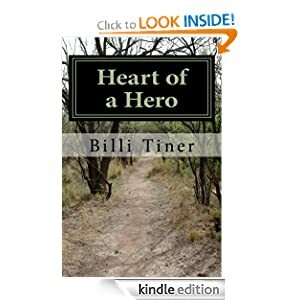 The reader falls in with each of the novel's characters, as they work to save themselves from a dark fate in this terrifying and moving tale that centers on a deeply felt love story.